Get video access and the MP3 downloads right now! What did the people at the event have to say? Whether you are a speaker, author, consultant, sales professional, or corporate presenter, get video access & the MP3s from the Last Ever Lady & the Champs. Have you ever attended a conference with amazing teachers and left with a long list of awesome ideas that you never execute? Lack of execution is the single biggest barrier to reaching a presenter's full potential both on stage and in their marketing. This dramatically impacts their profits. The final Lady & the Champs will be different. We've designed the event to help you not only discover how to be more efficient and more effective, but also to apply what you learn RIGHT AWAY! So we're incorporating interactive, hands-on opportunities for you to chart your progress and execute IMMEDIATELY. Consistent execution empowers you to have an unforgettable impact on your audience. You will focus on finding your stories, making them sticky, polishing delivery, and positioning yourself for profit. During each segment of the event, you will get to implement what you have discovered and then receive the coaches' insights on your application. This will catapult your progress. Your progress starts at Lady & the Champs. Why our last Lady & the Champs? Patricia Fripp has decided that this will be her last event with the champs, and we are determined to go out on top and bring you our best. You won't want to miss our concluding Lady & The Champs! For 6 Reasons, This Is Different from Any Other Lady & The Champs. Time designed for you to execute DURING the event. Time built in for you to get coaching on what you just created. Insights into changes in marketing technology since last year. It's the LAST ONE EVER! This conference is designed differently to catapult you forward. TURN YOUR EXPERIENCE INTO ELOQUENCE! FIND THE FUNNY & PUNCH IT UP! PREPARE FOR THE PLATFORM LIKE A PRO! Turn Your Experience into Eloquence! Find the Content Others Will Pay to Hear. Do you love to speak? Have passion and conviction for a topic? Want to get paid for presentations? If you're a Toastmaster, an emerging, aspiring, or current professional speaker, trainer, coach, consultant, business owner, or solopreneur, this program can cut years off your learning curve with the Patricia Fripp's techniques. If the answer is yes, this session is for you. If you are like many on the path to becoming a highly-paid professional speaker, you probably wonder at times if what you say is actually worth paying for. Or you have a great, in-demand topic, but you lack confidence that you can deliver it well. Feedback Hack! Break the Habits that Hold you Back! Ed Tate has created his own evaluation form and used it to help Darren Tay win the 2016 World Championship of Public Speaking. And it looks nothing like the official Toastmasters form! Is your content considered contrived, pandering or cheeky? Are you a "Thought Leader" or a "Thought Repeater"? Avoid the dreaded DDI! Don't know what DDI is? It will be a shame if you continue to make this big time mistake. Come to this session prepared to deliver 1-2 minutes of content, and get entirely different feedback from what you're accustomed. There's no quicker, more authentic way to bond with your audience than through humor. 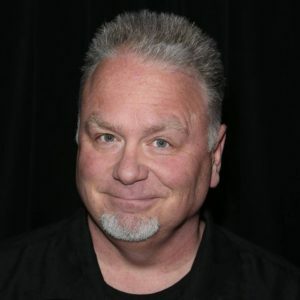 Kevin Burke will teach you the real work of adding YOUR humor to your speech, your marketing material, and your life. Speaking of your life, Kevin will show you how to turn it into a wellspring of source material for your theater of the heart. We'll also examine real-world examples of humor's disrupting an industry, creating a worldwide phenomenon, and winning the White House. No kidding. Find the authentic humor that is yours and yours alone. Open hearts, minds, and checkbooks. Ford Saeks will reveal the insider secrets to accelerate your results and monetize your expertise, even on a limited budget. If you're interested in building brand awareness, connecting with your customer base, uncovering new opportunities, capturing prospects, enabling lead generation, and increasing sales, then get registered now. Bring your marketing and promotional materials, or submit your website for a chance to be selected for one of Ford's famous "Marketing Makeover Hot Seats." Ford's sessions alone are worth ten times your investment. Patricia Fripp says, "All wisdom comes from reflection." Based on her life experiences and 40 years of speaking, Patricia reflects on and draws from her life and amazing career to pinpoint habits, disciplines, turning points, and pre-memories that make our lives and presentations richer for us and our audiences. Stories are the backbone of interesting, educational, and entertaining presentations. But how do you make your story memorable? How do you make it STICK? Many presenters tell stories with insignificant characters, irrelevant details, colorful but unimportant descriptions, and too much blah, blah, blah. In this session, Mark will guide you along a process for selecting the BEST BITS of your stories and crafting them in ways that will leave your audiences informed, entertained, and inspired. "The best teachers are those who teach from their own experience." They also stand out in the crowd because of the depth from which they teach. More execution equals more experience. Your worst experience can be their best teacher. Experience is what people want to learn from, and that comes only from execution. Marketing that separates you from the pack is achieved only through execution. Lack of execution is the single biggest barrier to reaching a presenter's full potential. Consistent execution earns you the right to deliver impact to your audience and be unforgettable. Find out how. What you're really losing if you don't execute enough. Discover the unexpected multiplier when you execute often. Execution and accountability are king. If you don't get this, everything else you learn does not matter. Period. Referrals are an important key to more business. Connecting with your audience is the key to getting referrals and raving fans. If you want to be a first-class pro on stage, you need to prepare like a pro. What do pros do as soon as they get booked? A month before? A week before? As soon as they get on site at the event? Just one new key could open the lock to a deeper connection with your audience. What do you do once you are hired? How do you research your audience? How else can you prepare to connect more deeply? Often we do not realize our own value. We don't realize what we have that other people want, need, and are willing to pay for. Watch as our master business coaches work the volunteers from the audience to find the hidden profits in their businesses. Most business owners are so caught up in day-to-day activities that they miss the opportunities right under their noses. This session will be enlightening and profit-rich. What money are you leaving on the table? What do you already have that you can repurpose for profit? What do you need to focus on to start earning more? If you like Shark Tank, you'll love Speaker Tank! Event planners make hiring decisions in minutes. What turns them off? What makes them want to hear more? Watch as audience members pitch their business programs to the sharks. You might get a chance to pitch your business and get real-life feedback from people who know what they want. If you are serious about getting hired as a speaker, you will learn volumes by watching this session. How thick is your skin? Do you have what it takes? Don't miss this session. Humor COACHING - Punch it up! Gain powerful humor insights as you watch our humor coaches find the funny. What makes a story funny? How does the speaker's own persona add or detract from the laughter? Watch as our master humor-and-story coaches work with volunteers from the audience to find their funny bones. Humor is not easy. In the hands of a skilled humor coach, however, it is attainable in almost any story. You just have to know where to look and how to deliver it. How can we make this funnier? What can we do with character dialogue? What is the real difference between good and great? Watch this ever popular session, and learn. It is always a crowd favorite. After decades of coaching speakers on platform skills, Patricia and the Champs will amaze you by showing you what most speakers miss. They have seen it all and will blow you away with their perspectives. Watch volunteer audience members take the stage and bring their best. The expert coaches will transform presenters right before your eyes. It takes only seconds to turn off a prospective customer. Whether you want to get hired as a speaker or sell your products online, your social media profiles and websites are crucial. How much business are you losing that you don't even know about? It is hard enough to get traffic to your sites. How do you convert it into real business? Volunteer audience members will get an opportunity to have their sites reviewed by the experts. Ford Saeks is the secret online weapon behind many of the most successful speakers in the industry, including Past Presidents of NSA, Patricia Fripp and Shep Hyken. Most speakers make the same costly mistakes in their online presence. Do you? Learn how to expand your social media presence and explode your business! The greatest writing can be quashed by poor delivery. Average writing can become amazing through powerful delivery. Delivery is the great nullifier or multiplier of presenters. Great delivery will enhance your ability to stand out on stage and on your demo video. Watch as our master coaches work with volunteers from the audience to transform their presentations, sometimes with just a tiny tweak. You may actually see how to enhance your own delivery greatly by seeing speakers coached live. Are you expressing the emotions of your characters? Get video access & MP3 Downloads now! Get insider secrets from three World Champion speakers, three Hall of Fame speakers, and the experts they go to for advice. What challenge are you facing right now? How could these experts directly help you overcome it? This two-day event will change your perspective on presentations for the rest of your career. Get Video Access & MP3s now! What Did People Who Attended Last Year Say About the Event? "The whole 2 days were eye-opening. Thank you for this whole conference." "Solid and grounded speakers and knowledge for an unbelievable price." "Loved, loved, loved it. I'm inspired! Can't wait to move forward." "I have lots of takeaways and keepers, already rewriting a couple of my upcoming speeches! I also have been procrastinating about starting my business. This jumpstarts it"
"If you want to be in the speaking business, you have to attend." "Every session was well-packed with information, no matter how far you are on your journey." "I cried, I laughed, I left super motivated." Call us at (702) 308-3827 or send us an email. Want more LIVE Events? Click Here to find out about future events. © 2019 The Humor Institute, Inc. All Rights Reserved. Legal Information. Built by Prime Concepts Group, Inc.